Locked In has been creeping up the Kindle charts over the past week. It made the top-40 overall this weekend but, perhaps more significantly, hit the No.1 slot in the Women Sleuths category. 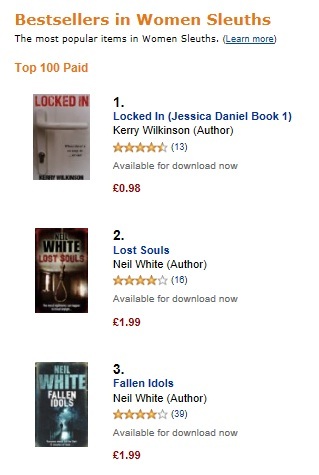 As a bit of a coincidence, I live in the same town as Neil White, whose books I would recommend and is in second and third on that chart.